UNYP cooperates with the State University of New York, Empire State College to offer accredited 4-year Bachelor´s degrees programs taught entirely in English. Students can earn an American-accredited Bachelor´s degree from State University of New York, Empire State College.Some programs may be taken as double-degree programs, leading to the award of a Bachelor´s degree from State University of New York, Empire State College, and a Czech-accredited Bachelor´s degree from UNYP. 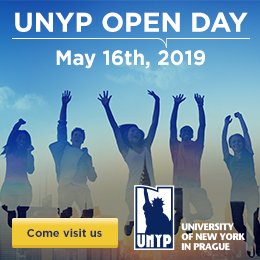 Study abroad and transfer students are welcome; please contact admissions@unyp.cz for more information. Transfer students may transfer approved coursework towards their degree.